Civil Rights Corps has had a busy start to the new year! I wanted to give you three important updates in San Francisco, Ferguson and Houston! ERead more in the post below. Thanks for all of your support, and we are looking forward to fighting injustice in 2019. First, we won a unanimous decision last week in the Eighth Circuit Court of Appeals, which rejected the City of Ferguson's appeal. We brought this case on behalf of tens of thousands of people in and around Ferguson, Missouri, and we are seeking to hold Ferguson accountable for years of throwing impoverished people in jail in unspeakable conditions when they couldn't pay debts they owed to the city. The City's numerous efforts to delay and dismiss our lawsuit have now been rejected. We and our co-counsel at ArchCity Defenders, St. Louis University School of Law, and White & Case will now move forward toward what will be a landmark trial exposing the corruption that happens when courts are converted into places of revenue generation. Second, after campaigning on a promise to settle our lawsuit, fifteen new judges were sworn into office in Harris County, Texas, almost two weeks ago. Last week, the Fifth Circuit Court of Appeals granted the motion of the new judges to dismiss their appeal of the preliminary injunction that we won last summer. The withdrawal of the appeal sets the stage for massive permanent changes to the misdemeanor bail system in Houston, which could mean pretrial release for almost 20,000 misdemeanor arrestees every year and tens of millions of dollars saved for the families of misdemeanor arrestees who have to pay money bail to get released in the current system. The other night, one of the judges wrote this to me about his first day of court after being sworn in: "I can't count how many I freed today... The most important part of the day was, in addition to the standard rights I would read at the time of a plea, I would tell them that they have a constitutional right to pretrial release and that they don't have to plead guilty to get out. Some people were in tears at the words... It is inspiring... The looks on people's faces when they see I care is really affirming. They want to do well, to be given a chance, treated like a person." This is a big change from the previous judges who lost the November election and spent $9 million in taxpayer money to defend an unjust money bail system, arguing in federal court that people are only in jail in Houston because they "want" to be in jail. 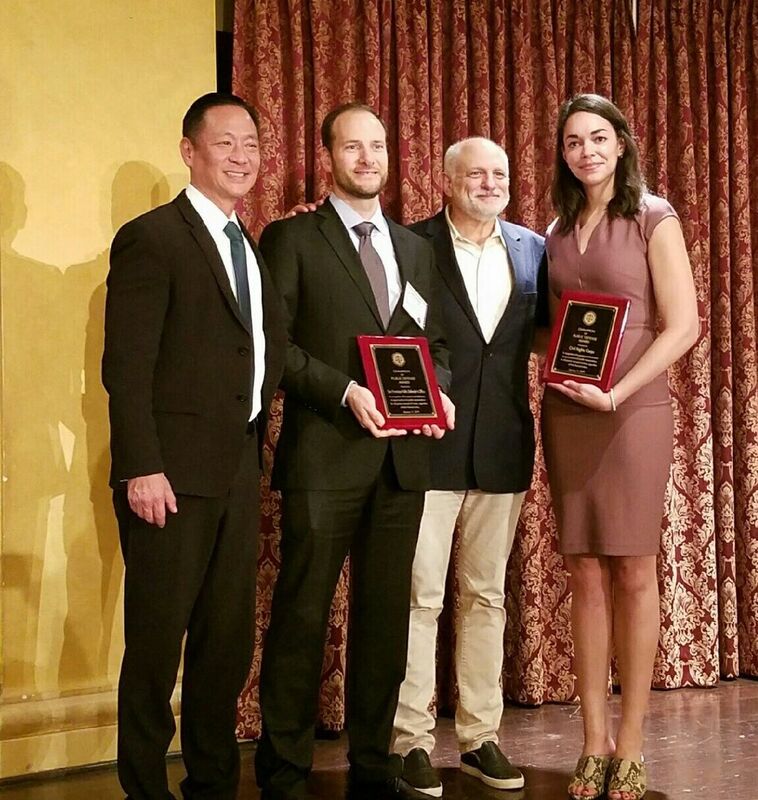 Third, Civil Rights Corps and the San Francisco Public Defender received the prestigious Champion of Public Defense award from the National Association of Criminal Defense Lawyers on Friday. The award recognized our landmark Humphrey case striking down the money bail system as practiced in California. We'll be defending that victory in the California Supreme Court in the coming months. Katherine Hubbard, who has helped lead our groundbreaking work challenging the money bail system in California, went to Los Angeles to accept the award for Civil Rights Corps. A photo is attached! Thanks for all of your support, and we are looking forward to fighting injustice in 2019.